13 point list of demands includes end of funding for terrorist groups, end of relations with Iran, and closing of Al Jazeera. Saudi Arabia and the other Sunni Arab states which cut off diplomatic relations with Qatar presented a list of demands to end the diplomatic crisis Thursday. 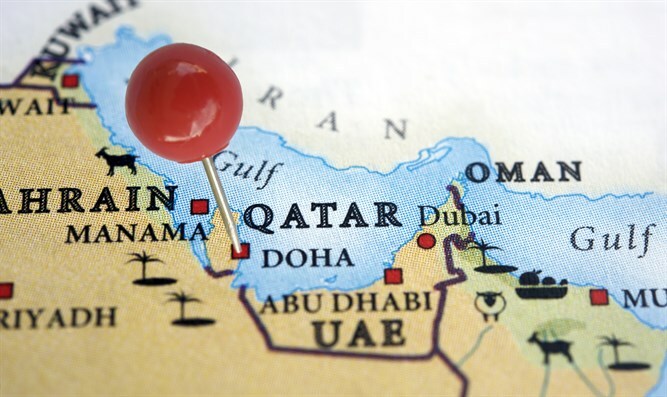 Five Sunni states, including Saudi Arabia, Egypt, the United Arab Emirates, and Bahrain, cut off all diplomatic contact with Qatar earlier this month, accusing the Gulf state of supporting terrorist organizations. The nations were also angered by Qatar's relationship with Shiite regional rival Iran. The 13 point list of demands for the resumption of relations between Qatar and the rest of the Sunni world includes the closing of the Qatari news station Al Jazeera, the closure of Turkish military base on Qatari soil, and the severing of all ties with terrorist organizations - including the Muslim Brotherhood, ISIS, Al Qaeda, and Hezbollah. They also demanded that Qatar end all diplomatic relations with Iran, including the expulsion of all members of Iran's Revolutionary Guards and the end of all trade with Iran that does not comply with the US sanctions on the Islamic Republic. Qatar was told that it must hand over all individuals who are wanted by the five nations for terrorism, and that it must halt all funding for groups which are designated as terrorist organizations by the US - a category which includes Hamas. The list of demands stated that Qatar has 10 days to comply. Should Qatar agree, it would be audited once a month for a year to ensure compliance. During the second year Qatar would be audited every quarter. Finally, Qatar would be audited annually for the next 10 years.